The Liga MX heads into its final round of fixtures this weekend, with seven sides still chasing the three remaining play-off spots. 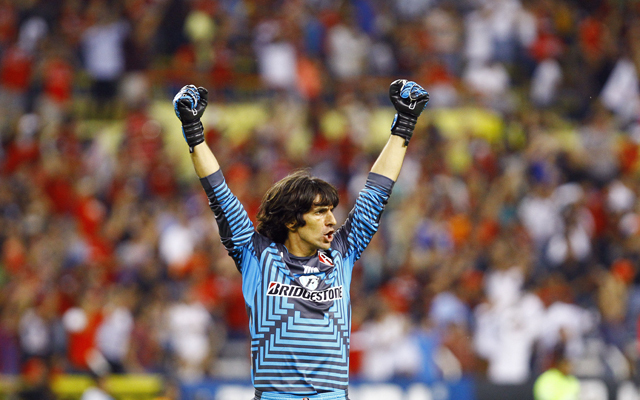 So far, five sides have confirmed their place in the playoffs – Club America, Toluca, Tigres UANL, Atlas and Monterrey. It leaves seven sides to fight over the final three spots; back-to-back reigning champions Club Leon, Ronaldinho’s Queretaro and last year’s regular season winner Cruz Azul, along with Pumas UNAM, Pachuca, Chiapas and Santos Laguna. Copa Libertadores Qualifiers – Who is still in with a chance of making the 2015 tournament? Furthermore, any of the top four sides can still win the regular season to be crowned SuperLider, while five sides are chasing two Copa Libertadores places (Club America are excluded from the Copa Libertadores due to their ongoing CONCACAF Champions League participation). Six teams have been eliminated so far, though the nature of the Liga MX means no side will be relegated until May. The final weekend includes several intriguing match-ups, with the top four all playing each other, play-off hopefuls Chiapas and Queretaro doing battle, and Morelia hosting Chivas in a fight to avoid finishing last. All eyes will be on Tijuana’s Estadio Caliente tonight to see if reigning champions Leon will sneak through to the post-season to defend their title. A win would virtually assure them a place, but defeat would leave their hopes hanging by a thread. 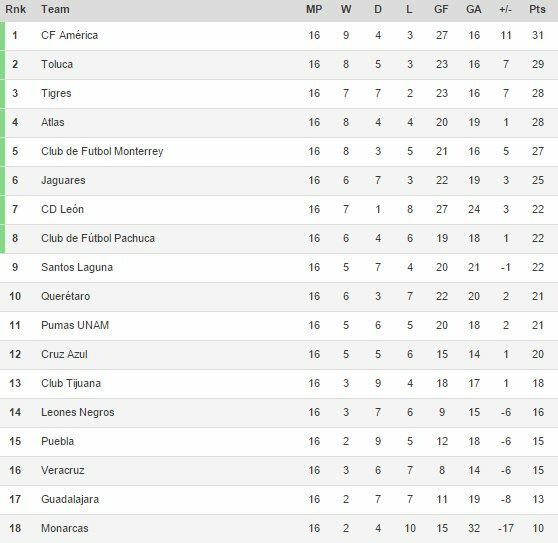 On Sunday there is a chance Pumas could qualify without winning a home game all season, while the battle for first place will be decided on Saturday night. The finishing position in the regular season determines the seeding for the play-offs, with first playing eighth, second playing seventh, third playing sixth and fourth playing fifth.